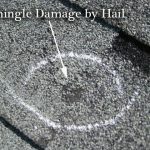 Amstill Roofing > Press > Houston Roof Repair > How serious is the algae streaking problem in the Houston area? Do homeowners frequently ask about products that prevent the common black algae streaking caused by algae? 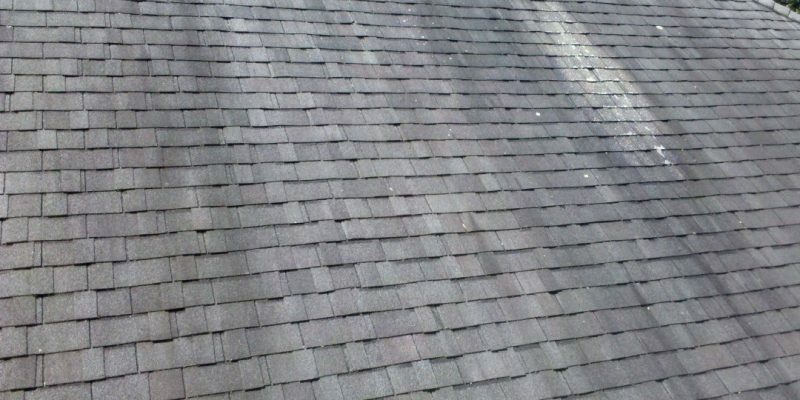 An increasing number of homeowners are informed about shingle products with preventive features like copper granules that inhibit algae growth on roofing granules. Almost all of the major shingle manufacturers now offer a variety of shingle products with algae-resistant (AR) granules, and the word is getting out to homeowners who are looking for a long-term solution. 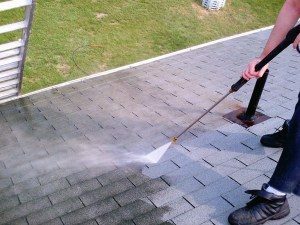 Most of the homeowners in our service area immediately upgrade to an AR product when they learn that they can prevent the stains and gain peace of mind that their roof will look clean and keep its color for years. But this option isn’t just for upscale homeowners. Everyone wants their home to look nice, regardless of its market value, and the roof is a large part of the exterior appeal. Have you installed shingles with algae-resistant granules? What sort of results have you achieved? Is it easier or more difficult to sell a shingle with the algae-resistant feature? 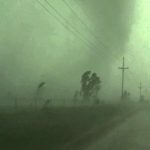 What type of contractor can be successful selling the AR feature? It all depends on the contractor’s approach. There are two ways to operate in this business. Some roofers work just as applicators going from job to job, simply installing shingles that meet low bids. Then there’s the sophisticated contractor who operates a professional business involving all aspects of customer service, because he knows a strong reputation will produce more business down the road. Contractors who are conscientious about consumer needs and who take the time to educate their customers about specific features will benefit their business in the long run. Homeowners require information about product options in order to feel comfortable upgrading. The contractor who positions himself as an expert with a variety of options that meet consumer needs will be successful selling algae-resistant products. What are the greatest advantages of opportunities for contractors who market algae-resistant products? Contractors should embrace this new feature as a way to improve their business and ensure complete customer satisfaction. Depending on the competitiveness of the market and bid, most jobs allow for some markup on materials, offering an opportunity to increase profits. 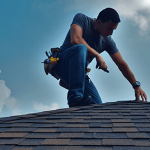 Plus, by adding value to the aesthetic components of a roofing job, they can improve the integrity of their business by building a uniform set of consistent, high quality jobs for future referrals. What kinds of materials are important to your sales delivery when pitching upgraded selling features? Presentation is everything when you’re selling upgrades. We rely on manufacturers for product literature and samples, plus various sales tools to support our presentation. The job site is equally important, because 90 percent of our work comes from referrals. Our clean and professionally uniformed crew, company-identified trucks, and prominently displayed yard signs all work to display a professional image that remains in the customer’s mind. How receptive is the market to AR products? I think it’s just a matter of time before the AR feature becomes standard in this market. 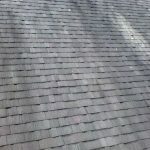 Already, some manufacturers sell only AR shingles. An example is in Florida and other parts of the South. Manufacturers are realizing that they can exclusively benefit the consumer by making it part of the manufacturing process rather than an upgrade option. This makes sense from the homeowners and contractor’s point of view, because if everyone is selling it, it’s apples to apples on price. We prefer to sell this feature on every job, and most of our customers are open to it as well. How does the AR feature fit within your current arsenal of selling strategies? 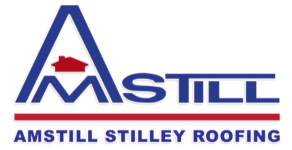 It all comes down to focusing on the features that will improve and preserve the aesthetic qualities of a roof. 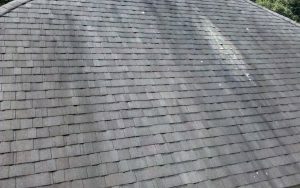 There are many artistic opportunities to create beautiful roofs with today’s shingle designs. And if you enhance the overall look with a new roof, you’ve just gained a happy customer who will provide testimonials to your business and generate future referrals. Installing quality materials and providing unsurpassed customer service are the keys to success in this industry.